Therapy and the limitations of mindfulness. Ask most therapists today what they’d suggest for a client with anxiety and you’re likely to hear a combination of techniques anchored by a mindfulness practice. But for psychiatrist and bestselling author Mark Epstein, a state of mindfulness isn’t just a prescription for quieting an anxious mind: it’s an introductory phase to a much deeper process of healing and enlightenment. 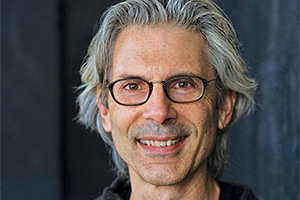 Epstein, a contemporary of Buddhist psychologists Ram Dass and Jack Kornfield, helped usher Buddhist thought into the therapy arena more than 20 years ago with his iconic book Thoughts Without a Thinker. Since then, he’s continued to publish to popular and professional acclaim and is celebrated for his writing exploring Buddhism and the psychologically vexing nature of the “self.” In his latest offering, Advice Not Given: A Guide to Getting Over Yourself, he overcomes his longstanding reluctance to make the case for Buddhist ideology and gives genuine guidance on how to reign in our troublesome egos. I recently caught up with Epstein for an interview to hear how he first came to integrate Buddhism and therapy decades ago, and to find out more about how he sees this intersection of Eastern and Western thought playing out in our culture today. RH: How did you first learn about Buddhist practice? EPSTEIN: When I was in college, Daniel Goleman, the author of Emotional Intelligence, was a grad student teaching a psychophysiology class. I was particularly drawn to his purple bell-bottoms. He’d already been to India, and I could tell he knew something that I needed to know. Goleman invited me to Boulder, Colorado, where some friends of his were teaching. Those friends turned out to be Joseph Goldstein (cofounder of the Insight Meditation Society) and Ram Dass. Jack Kornfield was there, too. I befriended all three of them and started doing retreats and traveling in Asia with them. I got as deep into Buddhist psychology and philosophy and meditation as I could. RH: You were in this Eastern mindset, and then you went to medical school to study psychiatry, which is very Western. How did the two systems of thought meld for you? EPSTEIN: Before I entered medical school, I worked for Harvard cardiologist Herbert Benson, who wrote The Relaxation Response. He was measuring the physiological effects of transcendental meditation and showed that the simple act of repeating a word in meditation could calm the sympathetic nervous system and quiet the fight-or-flight response. At the same time, I was beginning to study a lot of psychology and had a vague notion that I might want to be a therapist. I was a good listener, liked people, and was interested in what made them anxious. As I began to learn about the Western psychoanalytic and psychodynamic tradition, I was interested in how it paralleled what I’d already learned from Buddhism. Freud’s method of paying attention in psychoanalysis was actually a kind of meditation: one had to listen impartially, giving equal attention to everything there was to listen to. I realized that most therapists didn’t know how to do that. For a long time, I kept my Buddhist side quiet. When I went to do my psychiatric residency, I was warned by a psychiatrist friend of mine that if Otto Kernberg, the famous psychoanalyst who ran my training program, heard that I was interested in Buddhism, he’d eat me alive. I ended up with Kernberg as a supervisor, and he actually helped me a great deal. Once I was on the faculty, I decided I could start to speak a little more freely about my interest in Buddhism, and it turned out that all the other psychiatrists on the staff were actually very open to it. I’d been keeping myself locked up for no good reason. RH: Where do you think the intersection between Buddhism and psychotherapy lies these days? EPSTEIN: I’ve spent my career trying to figure out what Buddhist psychotherapy might be, but I’m still not sure what it would actually look like. I always wondered whether the languages of Buddhism and psychology are even talking about the same things. For instance, is the ego that Buddhism is warning against the same ego that psychoanalysts are trying to build up? Is the valuable emptiness that the Buddhists are talking about the same emptiness that the so-called borderline patients who are cutting themselves in the hospital complain about? Over the years, mindfulness has undoubtedly infiltrated the psychotherapy world through John Kabat-Zinn and others who began to teach mindfulness-based stress reduction. As much as I support and even revere all their work, I’ve been a little worried about the way mindfulness has come almost to replace psychotherapy as the training of first choice for young therapists who are looking to be certified as a mindfulness psychotherapist, but not really learning about the relational aspect of therapy. RH: Some people put mindfulness under the general umbrella of CBT as a technique to help calm your thoughts. But your understanding of it is relational and psychodynamic? EPSTEIN: Well, I try to hold both of those understandings. From a Buddhist point of view, mindfulness is really an introductory technique. It’s preliminary to insight. It’s meant to develop the capacity to tolerate the entire range of human emotion and thought and perception, such that you can really see yourself clearly, with an eye to unpacking the way the ego is locked into a false identity. To see mindfulness as an end to itself, I think is too shortsighted. The relational conversation that takes place in psychotherapy can be just as useful when it comes to deconstructing and unpacking the ego, and discovering the freedom that the Buddhists talk about. RH: From what I’ve read in your work, it sounds like therapists are getting mindfulness wrong. Currently, mindfulness meditation is just one tool in the bag of techniques we use. Are we failing to capture the breadth and depth of what mindfulness and meditation are really supposed to be? EPSTEIN: I’m all for the cultivation of mindfulness, but it’s possible to use mindfulness defensively to keep oneself away from the more troubling aspects of the self. As someone who’s been around the Buddhist and mindfulness scene since I was in my 20s—I’m now 64—I’ve seen generations of people trying to make themselves all better just by using mindfulness. I can tell you that it hasn’t worked for everybody. Buddha says the first noble truth is suffering (dukkha). In other words, although it’s hard to face, everything is transitory, we’re all going to die, and we don’t have the control over the way things go that our egos want us to have. The second truth is that the cause of this suffering is the way we cling to our egos. Mindfulness is meant to help us get preliminary insight into this clinging and what it is we’re clinging to. What are the identities we’re so attached to? From there, one of the biggest insights Buddhism offers is described as emptiness, or selflessness, or egolessness. But what does that really mean? Most people misunderstand this concept and think, I have to get rid of my “self.” There should be no self. Instead, the idea is that each of us takes ourselves to be more real, more isolated, more of an object than we really are. The experience of egolessness is to poke holes in the ways we cling to these various outmoded notions of who we are. But to do that you have to first find the self as it appears to you. You can’t just leapfrog over that. You have to find your most deeply held beliefs about yourselves and really explore them. That’s something that can be done in psychotherapy, or in meditation, or just when you’re taking a walk in the woods. This kind of examination is what leads to the higher insights. RH: In your new book, you say the problem we deal with in therapy is wrapped up in four words: the problem is me. What does that mean? EPSTEIN: We can’t help but be self-centered. We’re all locked in, to one degree or another, to our own private, subjective sense of our self. The conclusion is that “the problem is me,” even when it’s clear the problem wasn’t you, whether you were molested, or one of your parents died, or your father’s an alcoholic, or the kids made fun of you in school, or whatever it is. We’re so self-referential, and the alternative is we just blame the world for the difficult things that may have happened to us. But that blaming, whether it’s the self or someone else, is a kind of clinging, which is exactly what Buddhist teachings are asking you to explore. RH: You wrote that “awakening doesn’t make the ego disappear, it changes one’s relationship to it.” You’re saying we can’t eliminate the ego? EPSTEIN: With mindfulness or meditation or yoga or Prozac or psychoanalysis or psychedelics, we often naively hope that we can eliminate the troubling aspects of ourselves or of life. But I think a much more realistic goal is to stop identifying with whatever these aspects of ourselves are, to the degree that we do so unconsciously. I spent a lot of time in my earlier years with Ram Dass. He used to say that before his spiritual exploration, his problems appeared like these great big monsters; then after a while they started to be these cute little Shmoos. That’s the change in the relationship that I think is more realistic, more possible. We transform and develop a sense of humor, or a sense of relativity, about that which we find so difficult about life, about ourselves or our families, our partners, whomever. RH: You talk about once being in therapy and describing different parts of you, as in, “part of me feels angry, part of me feels sad.” And the therapist said, “You don’t have parts.” What did that mean for you? EPSTEIN: The therapist was Isadore From, a great Gestalt therapist. Right away, almost like a Zen master, he said to me, “You don’t have parts, Mark.” He was helping me take responsibility for being me. If there was a conflict within me, such as hating and loving the same person in one moment, I had to resolve that paradox not by creating a split within myself but by owning it—that’s what it is to be a person. All of us are full of contradictory impulses. In meditation, it’s possible to experience that while still being centered in yourself. RH: What message do you have for therapists who are trying to integrate Buddhist thought in their work? EPSTEIN: The notion that it’s possible to discipline the mind is fundamental to Buddhist thought. But we also see this notion embedded in Dialectical Behavior Therapy, and in cognitive therapy, as well as in mindfulness practices. If people are drawn to Buddhism and actually practice, it really works, but I don’t think it’s the only doorway into a fuller understanding of the self. Every therapist has to find his or her own way to explore the unruliness of the mind. I’d just remind people not to be closed to the idea that there was a psychology in the East that goes back thousands of years, and we’re still at the very beginning of integrating it into this culture.